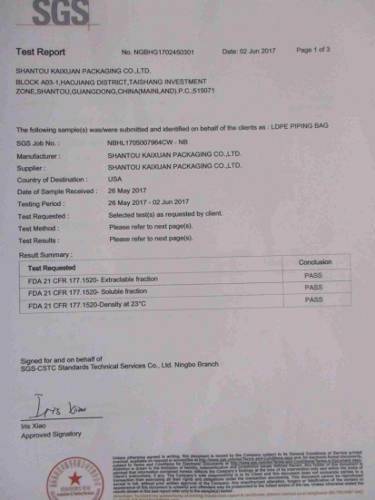 Company Overview - Shantou Kaixuan Packaging Co., Ltd.
3YRSShantou Kaixuan Packaging Co., Ltd.
Shantou Kaixuan Packaging Co. Ltd. has wealth of customer resources and marketing experience after years. Our company was founded in 1999, located in the beautiful and ancient seashore city of Shantou, near Shenzhen, Guangzhou, Hong Kong and Xiamen. Shantou city is the designated national plastic raw material base in China as one of the Economic Special Zone open to the world. Our company covers an area of 20,000sqm, owns more than 200 advanced machine lines and a 100K level purification workshop. We have 300m/min high speed gravure printing machines up to 10 colors and Germany Tech high speed thermoforming machines etc. We use No benzene No ketone eco-friendly ink and Solvent-free glue. 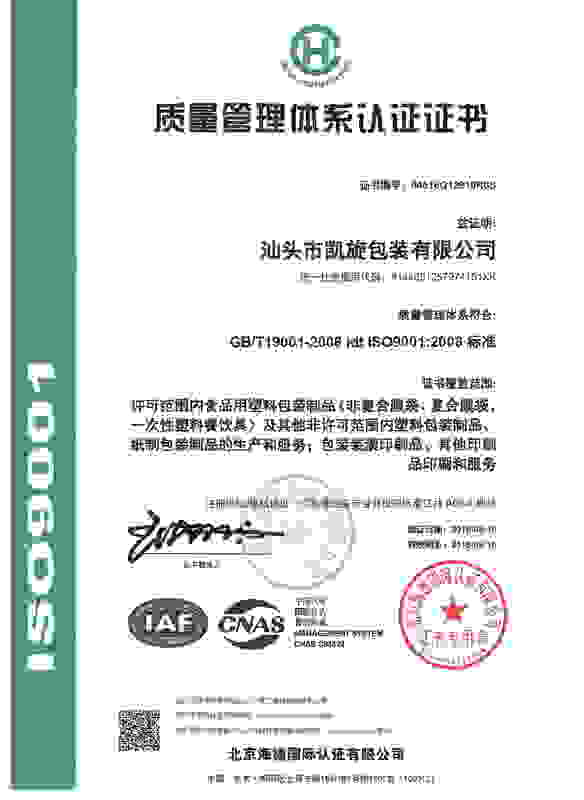 We are ISO9001-2008 management system qualified factory. Our production capability can reach 60tons per day. We have own smart design team, professional technical department, QC and innovative sales team. We are strong in supplying as flexible as possible customized tailor-made packaging products to customers.Shantou Kaixuan Packaging Co.,Ltd. is a dynamic and innovative company. We are direct manufacturer with own factory, experienced in the production and sale as well of packaging products. Our production lines, are with sophisticated automatic quality controls. Many customers are satisfied with our products, aware of quality, low prices and good general services.Our knowledge is not limited just to production, we are technical of production lines, raw materials. We offer technical support and, always, give an answer to the questions of our customers, who are in the first place in our company.To give a complete service to customers, we organize shipments of mixed products everywhere in the world, in "groupage", even for a single piece^Here, on the side, you can write immediately, to one of our representatives. He/She is able to help you for any clarification, question or inquiry. Do not think twice to writing us! 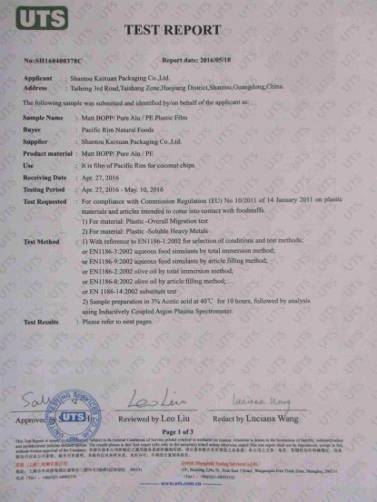 Within the Permitted Range of Food Plastic Packaging Products.